One of the most challenging things about being a consumer is not knowing where to go for information, especially when it comes to government services. The problem can be particularly frustrating for seniors. 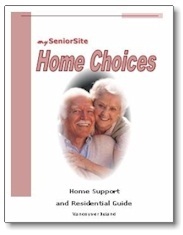 To help, the federal government has produced a helpful new guide, Services for Seniors. The guide is designed for Canadian seniors, those over 50 who are planning their retirement, families of seniors, or their caregivers. 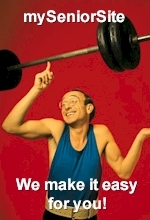 It lists more than 120 federal government resources for seniors and their families, including information on finances and pensions, health and wellness, housing, safety and security, veterans and Canada’s military, consumer issues, travel and leisure, and computers and learning. Research conducted by Service Canada has found that Canadian seniors are not always aware of the services available to them and would appreciate being able to see all government initiatives described in one complete guide. The Services for Seniors guide does just that and more, offering information on how to easily access these programs through Service Canada. There’s even a helpful section on how to contact provincial or territorial government offices. The guide is presented in a larger-than-average print size for readers whose eyesight may be a problem. It is also available in alternate formats. You can view or download the guide at servicecanada.gc.ca. You can also obtain a copy through 1 800 O-Canada (1 800 622-6232 or TTY 1 800 926-9105), by email at guide@canada.gc.ca or in person at one of the 320+ Service Canada Centres nearest you.